Since the last presidential election in 2016, the Muslim community has become more active in politics. They treated this year’s midterm election as a way to fight against President Trump’s hate speech at a time when anti-Muslim bias incidents and hate crimes continuously happened around the nation. ”Everything happened since the presidential election really moved us to take action. 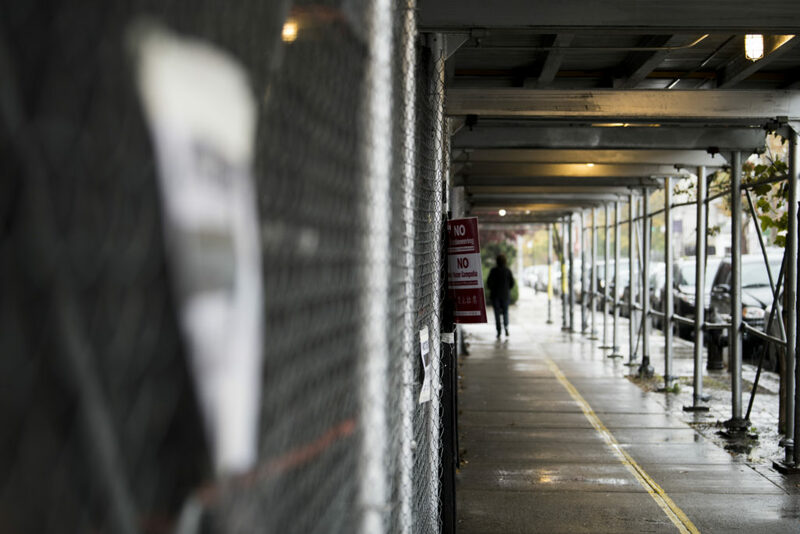 Now, there is such an emergency for our community to be more organized and unwilling to be silent,” said Widad Hassan, a community activist in Bay Ridge, Brooklyn. Especially for Muslim women, “they have been at the forefront of politics since 2016,” said Widad. They voted, they played a leading role in engaging the whole Muslim community to participate in the election, and they even ran for office. 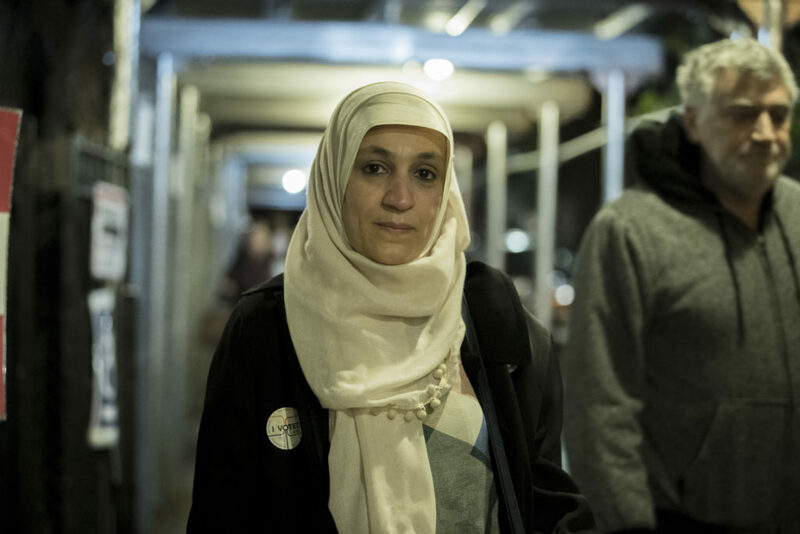 Fadela Ahmed, 52, worked as an Arabic translator in Max Rose’s campaign team, near Polling Site PS185. Mohamad Issa, 49; Rania Issa, 21; Ayah Issa, 23; Leila Issa, 45 (Left to Right). Youssef Hamada, 21; Shaimaa Emam, 40; Nour Hamada, 14; Eid Hamada, 68. 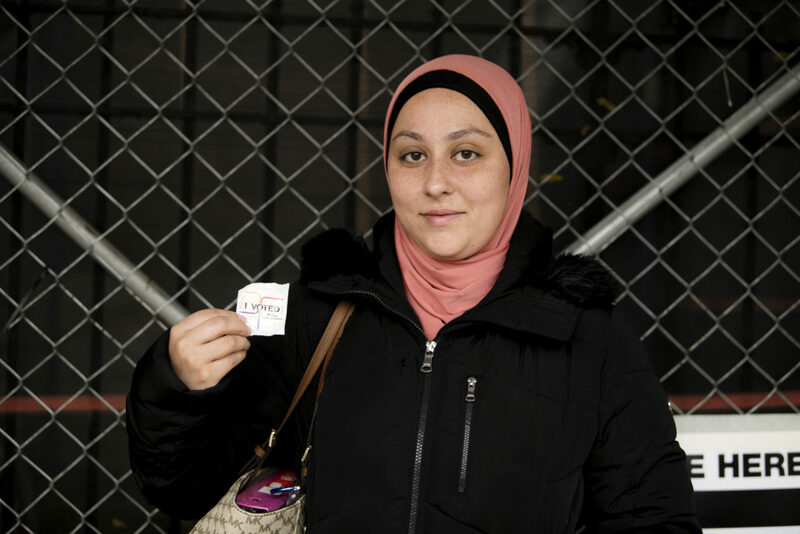 Widad Hassan, 29, was canvassing for Max Rose and Andrew Gounardes on Election Night. Widad Hassan prepared the canvassing for Max Rose and Andrew Gounardes on Nov.3rd at Bay Ridge, Brooklyn. 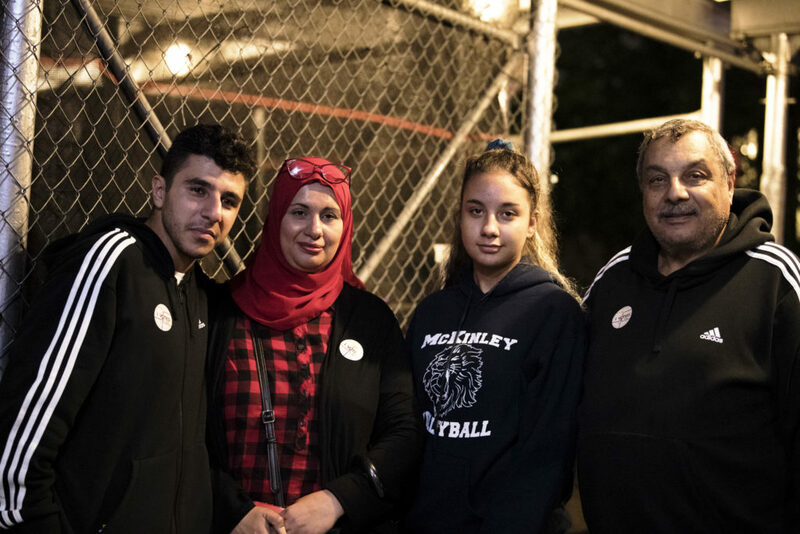 In Bay Ridge, Brooklyn, there was one race in this midterm election that caught people’s attention. That was the race of Max Rose vs. Dan Donovan for the 11th Congressional District which spans across Staten Island and Brooklyn. Donovan, the republican incumbent had great support in Staten Island but for the Muslim community in Bay Ridge, Max Rose was their guy. “He has spoken with us and asked what issues we are concerned with. That kind of conversation and engagement are so important,” said Widad. Asma Hassan, Widad’s younger sister, is a ninth-grade student in Brooklyn and this is her first canvassing. 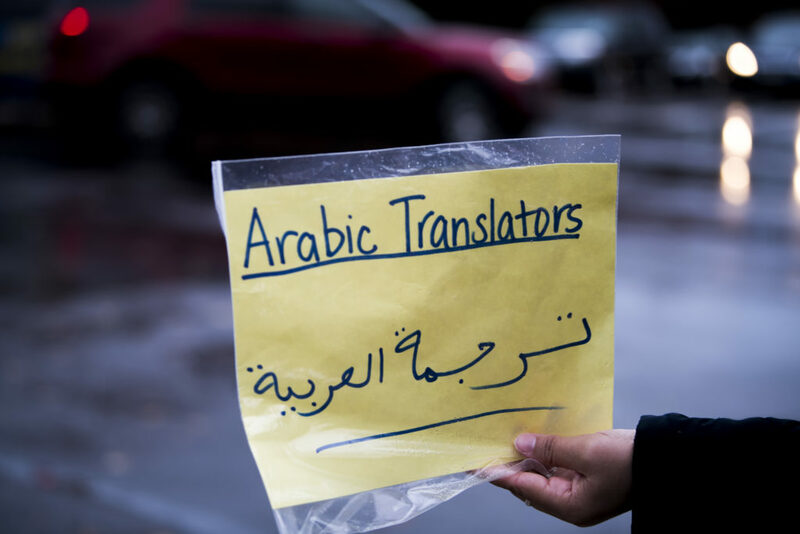 Yasmeen Hassan (Left), 23, Widad’s sister, is a student at Hunter College. 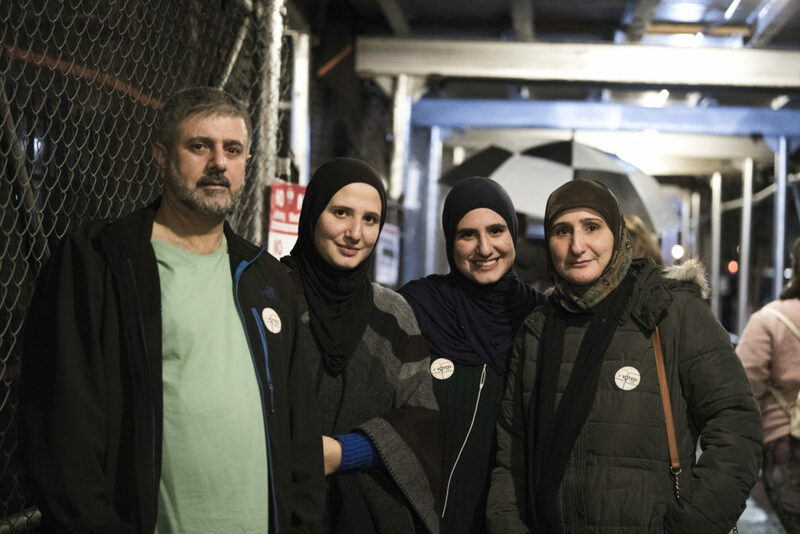 Three young women in Hassan’s family – Widad, Yasmeen and Asma – canvassed together in Bay Bridge, on Nov.3rd. Widad, knocking on the door of a Chinese family, tried to encourage them to vote for Max Rose. They put the flyers in the visible places. They were canvassing in the street. Widad was adjusting her hijab. Widad Hassan was born in the United States but her family is originally from Yemen. As a young Muslim woman growing up in the United States she has been bullied and harassed. “It’s a common experience for Muslim women to be bulled, especially for Muslim women with hijab,” said Widad. 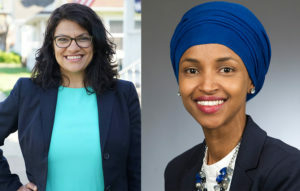 Last night, IIhan Omar, Minnesota’s 5th Congressional District Democratic candidate and Rashida Tlaib, Michigan’s 13th Congressional District candidate both became the first Muslim Congresswomen in the United States. For Muslim women, this year is not just the year of women, it is also a year of Muslim women. “It’s really inspiring and amazing to see Muslim women take a very important role in government and politics. It makes young Muslim girls believe ‘hey one day we can do it,’” said Widad. Ziyu Wu, born in Inner Mongolia, China. Spent years studying and living in Beijing and Shanghai. Now learning to be a New Yorker. Passionate about culture reporting and minority issue. Traveling and cooking is 10% of me.